Learn how to use SQL Server starting with the basics. Create a database, add data, run queries, backup a database, restore, and more. This tutorial was done running SQL Server 2017 on a Mac. It uses SQL Operations Studio (SQLOPS), which is a new database management tool (available on Mac, Linux, and Windows). If you use Windows, and you prefer to see examples using SQL Server Management Studio (SSMS), check out the SQL Server 2016 tutorial below. SQL Server is now available on the Mac (starting from SQL Server 2017). This tutorial outlines all steps you need to do, from installing Docker, to installing a management tool such as sql-cli and SQL Operations Studio. 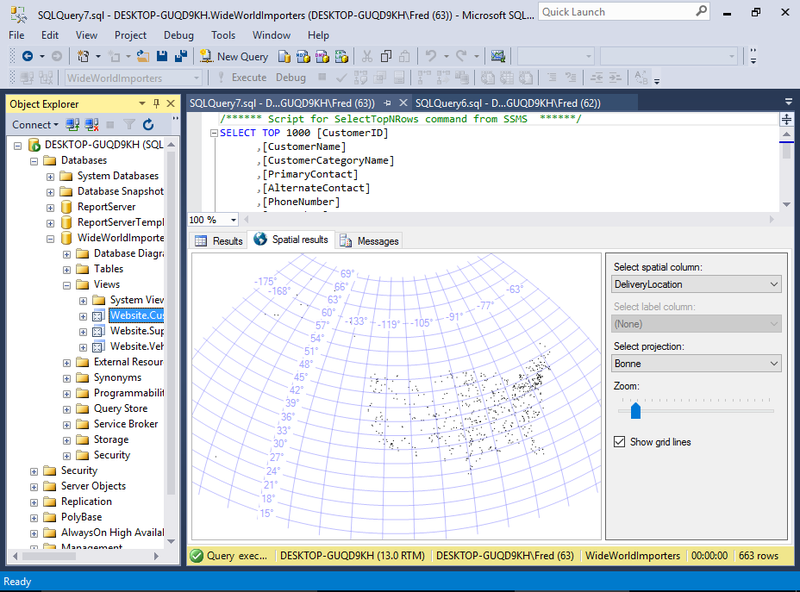 SQL Operations Studio (SQLOPS) is a free, lightweight tool for managing SQL Server, Azure SQL Database, and Azure SQL Data Warehouse. If you've just installed SQL Server on your Mac, this is the perfect GUI tool to get you started. You need to install Docker before you install SQL Server on your Mac. This is because SQL Server runs in a Docker container. This tutorial also shows you how to increase the memory allocation in Docker so that it's all set to run SQL Server. Once you've installed SQL Server on your Mac, you'll probably want to run some queries. sql-cli is a command line tool that allows you to run SQL queries right from your Mac's Terminal window. Handy if you need to restore a database .bak file to SQL Server running inside a Docker container. Use SQL Operations Studio to restore a database from a .bak file. It's all done by pointing and clicking your way through the GUI. DBeaver is a free GUI database management tool that you can use to manage SQL Server. This step by step tutorial shows you how to download and install it on a Mac. Once you've installed DBeaver, you'll probably want to connect to a database. This is a step by step tutorial to get you up and running. Here are some tutorials for previous versions of SQL Server. SQL Server 2014 is the predecessor of SQL Server 2016. Covers similar topics to the 2016 tutorial, but using SQL Server 2014. This tutorial uses SQL Server 2008. If you're still using SQL Server 2008, this is the tutorial for you. This SQL Server 2000 tutorial was written a really long time ago! Check out what SQL Server used to look like. Or if you're still using SQL Server 2000... maybe it's time to think about an upgrade!